This issue is the one that I’ve received the most emails from constituents about in recent months. The European Union (Withdrawal) Bill brought forward by the Government to transfer European law into British law did not include provisions to transfer the principle of recognising animals as sentient beings into UK legislation. The EU has spearheaded environmental and animal protection. Recognising animal sentience has been central to that and has helped improve welfare standards in the UK and across the EU. That is why I voted for amendments to the EU Bill in favour of enshrining animal sentience. After much pressure the Government have announced that they intend to introduce legislation to recognise the sentience of animals. It will be important to make sure the Government is held to promise. Alongside my Labour colleagues, I will continue to press for the highest possible protections for the welfare of animals post-Brexit. The problem of excessive use of plastic is a major environmental issue. 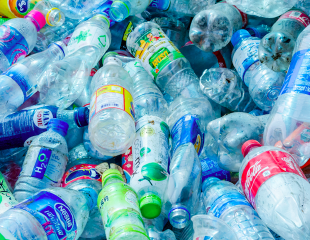 Each year we produce over 300 million tonnes of plastic- equivalent to the weight of the world’s entire population. Of this, it has been estimated that over 12 million tonnes of plastic end up in our seas and oceans. David Attenborough’s Blue Planet series brought to the attention of millions the alarming impact that the excessive use of plastic is having on our oceans. I have joined a cross-party group of 200 MPs calling on all UK supermarkets to eliminate plastic packaging from their products. This would be an important step forward in tackling the issue of excessive plastic packaging and help to prevent further damage to our oceans and marine life. You can read more about our letter here. Many constituents have contacted me recently about the use of animal testing for cosmetic products. The use of animals to test cosmetics products or their ingredients is banned in the UK and all other member states of the European Union. However, many countries continue to lag behind the UK and EU when it comes to legislation on animal testing and across the world animal testing for cosmetic products continues to take place. When it comes to animal testing this is an opportunity for the UK to demonstrate global leadership so that other countries can follow our lead. In the light of that I have asked the Government what representations they have made to the United Nations on this issue. Several constituents have contacted me with concerns that the Prime Minister is considering giving Conservative MPs a free vote on whether to overturn the Hunting Act. This law bans the use of dogs to hunt foxes and other wild mammals in England and Wales. I was a strong supporter of the Hunting Act when it was passed in Parliament and I am proud that this was achieved under a Labour Government. 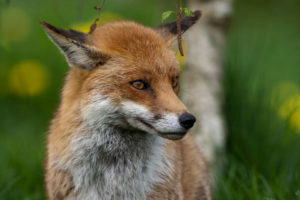 Under considerable pressure, Theresa May has now reportedly dropped her plans which would have threaten the welfare of foxes and other wild mammals. Alongside my Labour colleagues I will continue to press the Government to keep the ban on fox hunting. While fireworks at occasions like New Years Eve are cause for celebration, several constituents have been in touch with concerns about how distressing fireworks can be for their pets. It is important that the Government, local authorities and the police work together to make sure the laws that govern the sale and use of fireworks are properly enforced to ensure the responsible use of fireworks. I have therefore tabled a question to the Government to as what assessment they have made of existing legislation regulating the sale of fireworks.